SumoBOo, Grand Indonesia, Jakarta, Indonesia - my name is Food. Grand Indonesia is a mall full of various shops as well as restaurants or cafes even with a wide variety of food stalls in their food court. 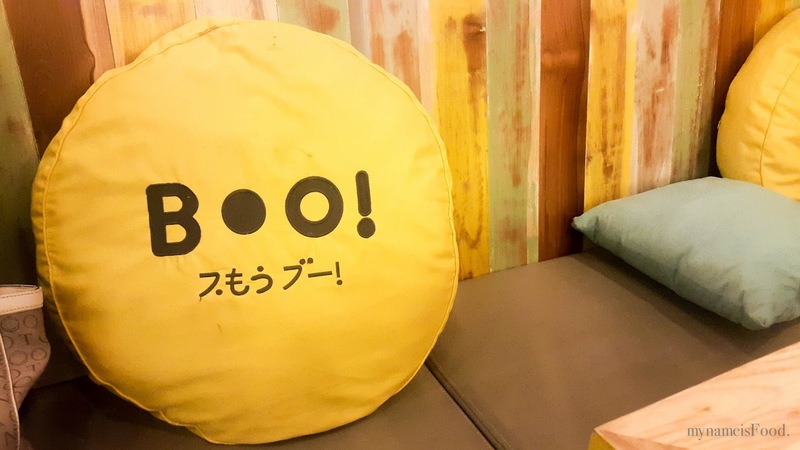 Due to its popularity in other malls, Sumoboo decided to spread its wings here, located on level 3 of the West Mall. 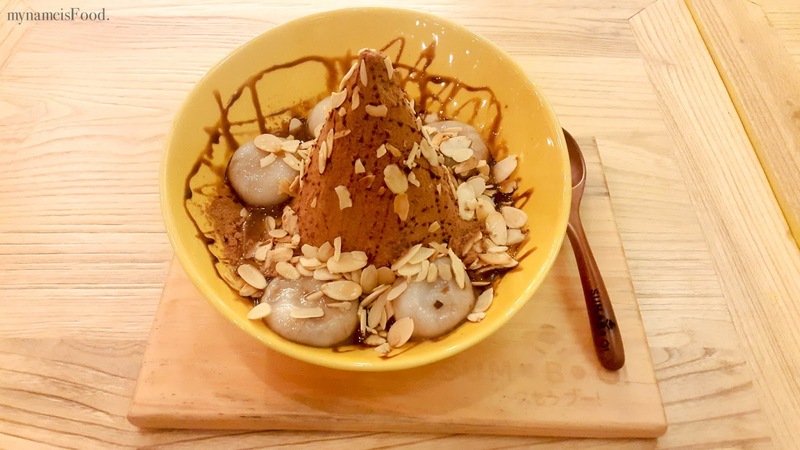 Although they may be known for their cute Japanese themed desserts, they also serve heavier meals such as pasta, rice and noodle dishes as well as a selection of snacks and drinks. 'Nutella Bomb' (IDR40k ~=AUD$4) was one of their options under the Kakigori section of the dessert menu. This specific dessert gotten quite the fame especially through social media, making everyone wanting to come in and try it for themselves. 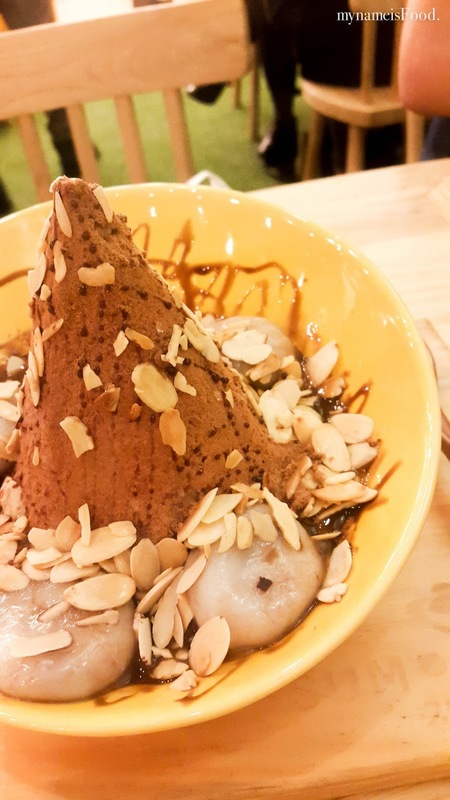 A bowl filled with 5 nutella bomb, chocolate mountain (aka. chocolate crushed ice) and sliced almond did look quite filling yet rich at the same time. Nutella is something that most people love even just by eating it from the jar which may be the reason why this dessert is super indulgent. 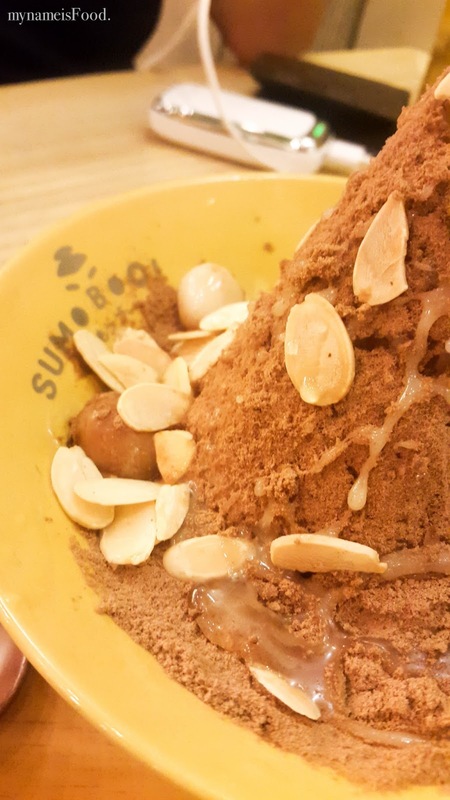 The sliced almonds seemed as if it was out of a packet you would probably get from the supermarket, quite dry but it did give the dessert that crunchy texture when you mix it together. 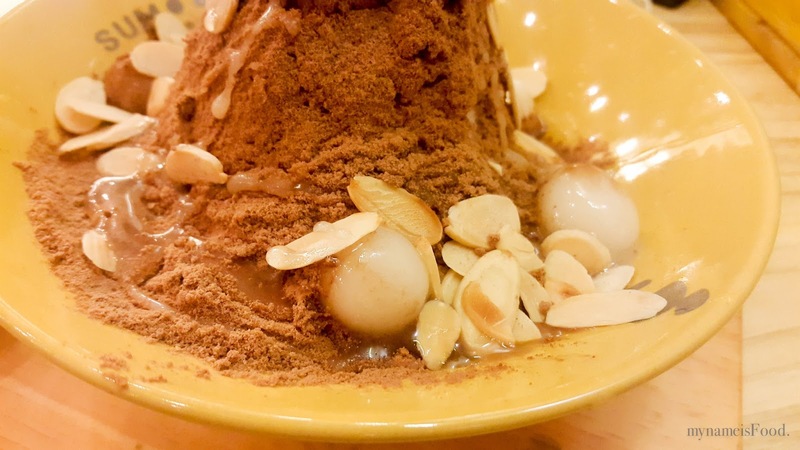 As for the chocolate crushed ice, it seemed that they have put Milo/Ovaltine powder on top of the ice which you would definitely need to give it a good mix at first to eat it, if not, you would probably just be eating a whole heap of Milo/Ovaltine powder. 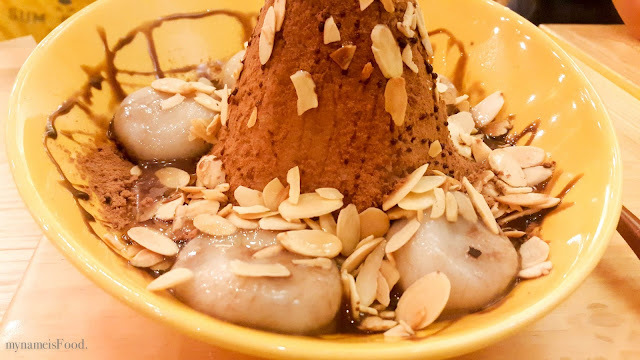 Not a big fan of the crushed ice as I thought that the consistency of the shaved ice melted rather quickly and did not have enough time to set with the chocolate powder. However, the mochi is definitely the highlight of this dessert as it looks like an ordinary mochi ball but when you do place it in your mouth, do be careful not to bite it rationally or excitedly making you have Nutella dripping everywhere. 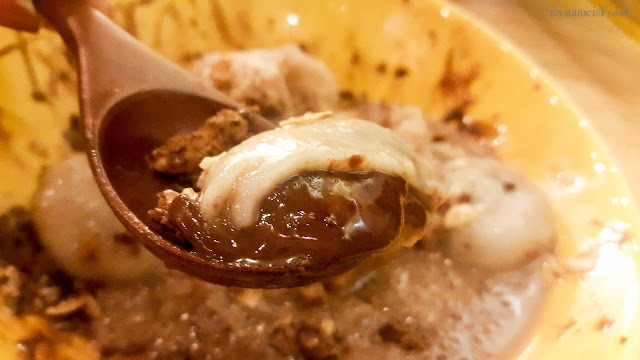 When you do take a bite in your mouth and start chewing it, you do get some kind of a Nutella explosion and wonder how come other dessert stores haven't thought about this before? Nutella mochi filled with nutella, exploding in your mouth. 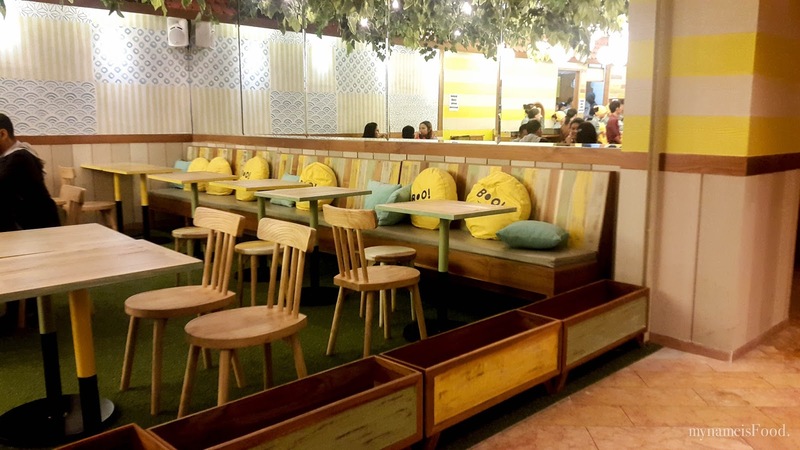 Though the place is quite small, it is decorated with wooden furniture with theme colours of yellow and green supported by the cushions of course as well as bright round hanging lamps and artificial hanging leaves on the ceiling.